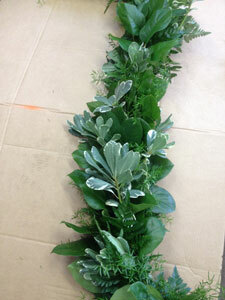 What’s the perfect garnish for a wedding, holiday party, stairway, or mantle? All our garlands are handmade, with the help of a state-of-the-art tying machine which provides strength and durability from end to end. Our garlands are all made with the freshest product available, most of which is grown right in our fields and all product is hydro-seal treated and kept in the “cold-chain” cycle to prevent wilt and maintain freshness. 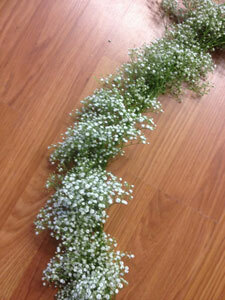 All of our garlands are custom made to order. We grow and offer a wide variety of greenery that you can mix and match to create the look you and your customers desire. With our garlands, it is our goal not only to save our customers valuable time and effort in their shops, but also to provide a beautiful and durable piece of art to enhance the beauty and elegance of any occasion!